Part of living an active and healthy lifestyle is making sure we are dedicated to keeping our heart healthy. There are numerous ways to promote heart health, some of which are very easy to do and incorporate into your everyday living. Make it a point to get enough sleep every night. Come up with a stress-free ritual that helps you get more rest. For example, try not to have caffeine after lunch time. Take a nice bath or relaxing shower to help you unwind and be ready for a restful night of sleep. 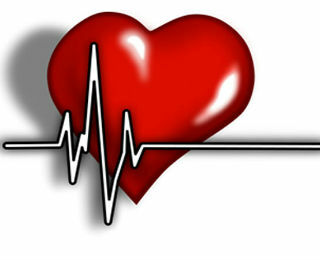 According to WebMD, many people develop heart issues if they consistently get fewer than seven hours of sleep a night. It is important to maintain your healthy heart to create relaxing sleep conditions that help you get enough rest. By reducing the amount of salt in your diet, you will keep your heart happy and healthy. A little salt goes a long way. You can cook with fresh herbs instead of salt and still get great flavor in your dishes without the sodium. You should try to aim for less than 2.3 grams (approximately a teaspoon) per day. Also, when you are dining out, try to order dressings and sauces on the side because they often are loaded with added sodium. There are essentially two types of sugar in the food we eat: natural sugar, which exists organically, and added sugar, which is introduced during processing or preparation— e.g. adding sugar to your corn flakes. Unlike lactose and fructose, which are found naturally, added sugar can be responsible for many added calories in our diet. A six ounce serving of nonfat yogurt has 77.5 calories from added sugar. You should select foods low in fat with minimal added sugar to keep your diet healthy. According to the National Institute of Health a diet with too much added sugar can increase your triglycerides, which can increase your risks for diabetes or CHD. Extended exposure to stress hormones can be harmful to your body. Over periods of time, high stress levels can lead to high blood pressure and possibly heart disease. Studies also link stress to changes in the way blood clots, which makes a heart attack more likely. Stress can be relieved by participating in physical activities and mindful relaxation methods or breathing exercises. Try to focus more on fun and less on concerns, and strive to live a more balanced life. The medical community is constantly making new discoveries, and it’s important to stay informed as research is ongoing. The internet is a great source for cutting edge information, but don’t get caught up in taking every source for its word. If you find conflicting information that affects you—and there’s a good chance you will—consult a healthcare professional.